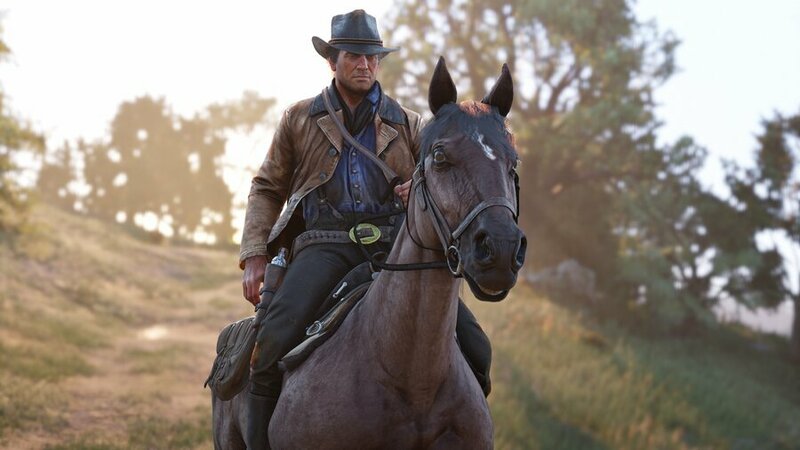 If the recent round of previews covering Red Dead Redemption 2 has taught us anything, it's that Rockstar's upcoming Western epic is going to be full of detail. We know that mud will stick to your clothes and affect your cleanliness, and that you can customise the engravings on your weapons, and that your actions can change how other characters in the game treat you. There are lots of tiny details like this, but everyone seems to be getting pretty excited about this latest revelation. This new tidbit allegedly comes from a Croatian gaming magazine named GAMEPLAY, and it's a neat detail. With the mini map disabled, characters won't just give you a mission and send you on your way, they'll provide you with directions to the required location. It sounds sort of similar to Assassin's Creed Odyssey's Exploration mode -- whether it'll go the extra mile and eliminate objective markers completely remains to be seen. Of course, you can still play with the mini map on, but this is just another example of Red Dead 2's depth. Will you be playing with the mini map, or do you want a more immersive experience? Head south of this sentence and you'll find the comments below. The less clutter on the screen the better as far as I'm concerned. Immersion is more complete and all the lovely graphics don't get obscured by the HUD. Interesting. A lot of RPGs could learn a thing or two here. The fact that we'll have the option is fantastic. This was actually in GTA V to a degree but it didn't work very well. Hopefully they've implemented it properly this time as I've wanted to play a Rockstar game like this for a while now. Sorry I was late for that high noon duel at dead man's tree, I had my mini map off. It depends how well it's implemented. I have never liked not knowing where to go in games, so if it slows me down too much, I'll stick with the mini map. I think a lot of people will say they want this, but then find they're turning the map and markers back on when they don't know where to go. Unless they really want to go round and round in circles or head off in the wrong direction and kill the pace of the game. This reminds me of L.A Noire. There, when you were driving to a destination, you could ask your partner for directions, as there wasn't a GPS available. If this is done well I'll play through at least the first 20 hours without the map. Making my own way or getting lost and stumbling upon something else might end up being half the fun. Nice implementation. I would try it off, then use my tablet with a map on it lol. Depends On how it works. It works Well in AC oddessey because you still get hints On the screen. If that won't be the case with this game then i'm using the minimap. am i the only one that doesn't mind having a hud On the screen? Too much hand-holding these days in games. I hope R* have an option that removes all waypoints, etc, so I can just explore and discover on my own. In a world of wild west its the only way to play IMO. That's cool, I usually use minimap but it's a nice addition for 2nd playthrough. I wish Rockstar (and of course Ubisoft) had the confidence to disable the hand-holding altogether. I dislike the term handholding. People use that term way to much. what's next? Complaining that you can see the ammo you have On the screen is Also handholding? options are always good,but they should never force you to play a certain way. Be it with "help" or without. 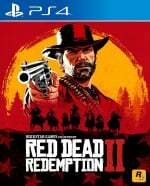 Can't wait for Westworld, I mean RDR2, to finally arrive. Minimap on for me. Sounds interesting, but cant imagine it adding much to the gameplay aside from hours of looking for the next objective. As Rockstar games are always chock full of things to do anyway, I would love to finish it sometime. Great. I was already planning to not display the minimap. Never liked it. I guess the full map is available on one click anyway. Game sounds so immersive and cinematic. You can sit on any chair and stuff. It's on another level of immersion. Why looking for hours? Full map is available isn't it? I just felt a minimap unnecessary and distracting. I agree. R are showing how it's done and give so many options to gamers. Other dev need take note. I'll probably turn off the mini map a few times to hear these directions, and then flip it back on for the rest of the game lol. My backlog is too madsive to buy RDR2 day 1. Heck, I still need to beat Spider-Man. Horizon is still unopened. But damn, this game sounds and looks amazing. I must resist. Be nice to still have a compass...unless we can check a tree to see what side moss is growing on to figure it out what direction to go. @JJ2 I guess my feeling is that if a map is necessary it may as well be readily available as a mini map. The only downside being it being visible on the HUD all the time. For me, however, it beats having to access a potential main map via a menu. Each to their own, but I should be an all or nothing in my opinion. I would take the nothing, but can see the atmospheric benefits of the all. A middle ground seems to have the worst of both elements. Can't help but feel the success of a certain Zelda game is behind lot of these minimising hud choices. Provided they reward exploration and make things visually interesting, this can only be good. Rockstar in particular can be bad for having you stare at a minimap rather than the world. One of my fave missions in gta v involved chasing down a crashing plane on a bike that meant you were looking at screen for where to go, not the mini map!! I'm tempted to switch it off, but if the main map takes more than 1 second to load up (what is it with slow loading maps in games these days??!) then i dunno. I only have a couple of hours a day with the game, I don't want to spend half of that time riding south when I should be heading north. If people want "immersion" (IMO, meh, it's a game, I'm never THAT immersed) then I hope we have to pull out a compass or check the position of the sun. It all depends how it's implemented I guess. By the sounds of it, R* have thought hard about it. I guess I'll start with it switched off and see how it goes. @ellsworth004 Lol..how about the direction the sun sets in the sky, or locating the North Star at nightime.. now you're talking immersion.